I love a good body oil, especially in the winter, as my skin gets a bit dry from the central heating. My elbows and knees are my problem areas and when I feel the dryness rubbing against my clothes, I know it's time for a pamper! The two Liz Earle Superskin Oils are perfect for that and I can't stop using them. The Superskin Treatment Oil*(£35.00) is ideal as a very nourishing treat for the skin, as it's rich, luxurious and deeply moisturising. It promises to make your skin visibly smoother, supple and more toned, with a healthy, youthful-looking glow and that's exactly what it does. I love using it on the driest areas of my body or just on my arms in the evening, as I find the scent very relaxing and therapeutic. The ingredients feature Alaria esculenta and the Superskin™ botanical blend of cranberry, borage and rosehip seed oils to make your skin feel and look amazing. I would highly recommend this oil, if you want to deeply nourish and repair your skin. And if you don't suffer with dry skin, you will see instant results, as the oil will add the most beautiful glow and softness and help you relax and unwind. 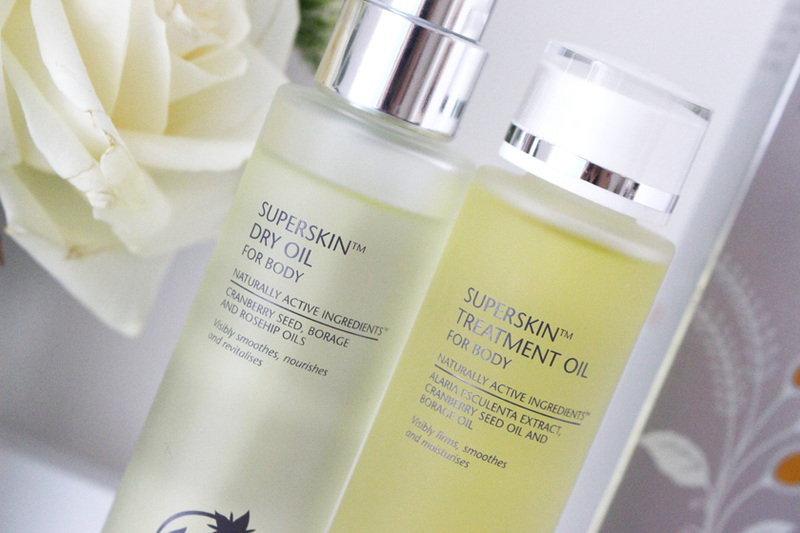 The Superskin Dry Oil*(£35.00) is also amazing, but it has a pretty life changing quality - it dries within seconds! You simply spray it on, rub it in and it does not feel oily or slippery, it just transforms your skin and gives it a boost of moisture and a healthy glow. So good. It's formulated with the same incredible blend of oils, but it's not as rich. If you're not a fan of the slightly greasy feeling on the skin, this will be perfect, as you still get the benefits of using a body oil, but without waiting for your skin to absorb it. 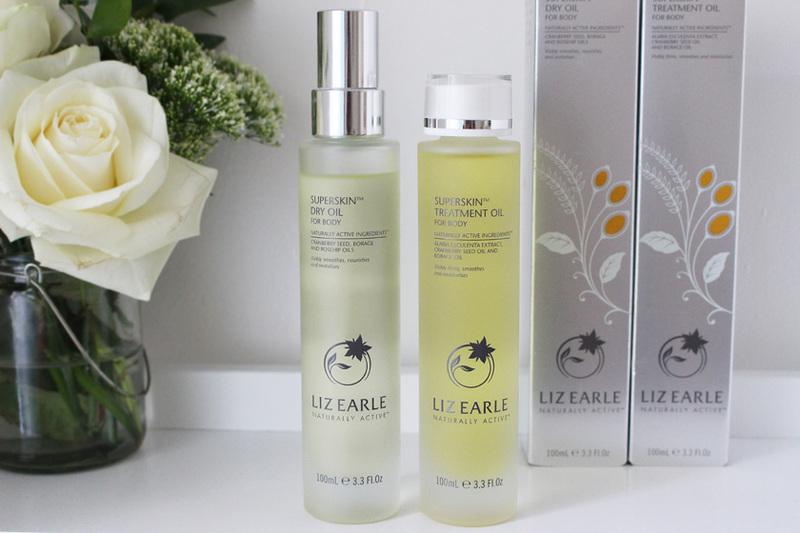 Overall, I am loving the Liz Earle Superskin Body Oils and I can't recommend them enough. Retailing at £35.00 each they are quite pricey, but the scent and the formula are simply amazing. I am secretly addicted to the full Superskin range, simply because I adore the scent! Available from lizearle.com and other stockists. Have you tried any of the Superskin products?